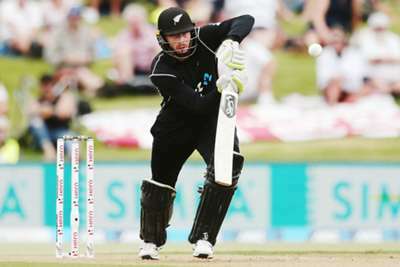 New Zealand have confirmed Martin Guptill will miss their upcoming limited-overs matches against Pakistan in the United Arab Emirates due to a calf strain. The Black Caps face Pakistan in three Twenty20 internationals, three ODIs and three Tests from October 31. Guptill, who has not played a Test in two years, was set to feature in the white-ball contests but has now been withdrawn from the touring party after hurting his left calf this week. The powerful opening batsman is facing four to six weeks of rehabilitation. Black Caps selector Gavin Larsen said: "Unfortunately for Martin it will take him some time to get over this injury and, with a long summer ahead, we need to make sure we minimise the risk of him repeating it. "[Head coach] Gary Stead and I will work through the possible replacement options."